Guess what I've been doing recently??? hahaha...it's this steamed buns and I really got addicted with it. Luckily, my kids still loved it even though they have this almost everyday. Must be yummy right?? 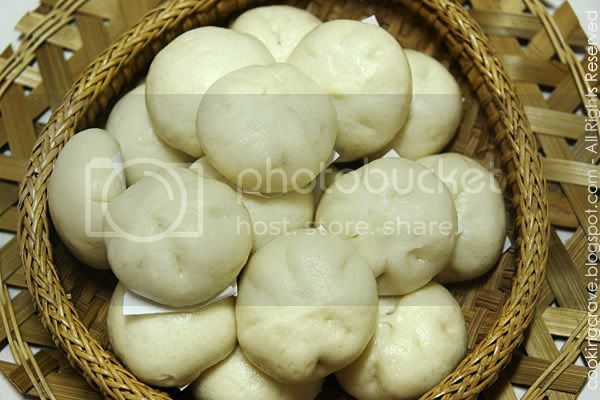 Good "bao"(包) skin plays an important role in making a delicious "bao". Normally the delicious baos we can get at the coffeeshop out there are so soft, white and yummy. I got to know that, they'll add certain ingredients like ammonia, shortening, double action baking powder and vinegar to get that quality baos. It's added to make the bao's texture soft, fluffy and white. I don't know if the ingredients used will harm our body in long term, if we took too much of it. I was looking for a recipe that will produce the same quality baos but, use less of those ingredients. Simple and easy one, something that's more healthy for my family, my kids and I got this wonderful recipe from close friend of mine. They even teach me how to prove the dough correctly. Thank you, Hsien & Ai Lee!! 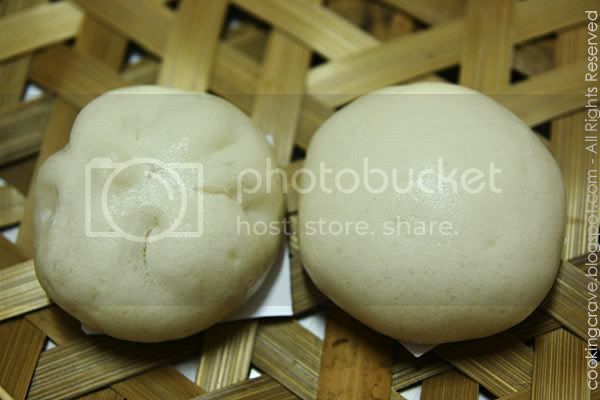 ☻~ The picture above shows how soft and spongy texture the baos make from this recipe. I asked my son to press the bao with his finger and it's just back to it's shape as soon as he take off his finger. It's very soft and fluffy. TRUST ME! Pic above: Char Siu filling bao on the left and kaya filling bao on the right. Okay as I've promised, I speed up to post this recipe specially for my friends Wendy & Constance. In a big bowl (*allow some space for the mixture to expand), stir slowly to mix the yeast with warm water and a tablespoon of icing sugar (from the 80g icing sugar). Cover the cup with wet cloth. Set aside and let it prove for 45mins. Meanwhile, sieve flour and icing sugar together into a big mixing bowl. After 45 mins, stir the yeast mixture. Add in oil and yeast mixture into the sieve flour. Use a spoon to mix it to crumble and start kneading the dough with hand. The dough will be a bit sticky at first, knead until it's soft and smooth. It takes approximately 20-25mins depend on how you knead it. Cover the bowl with wet cloth or cling wrap and let the dough rest for 15mins. Roll the 30g dough ball into 2" diameter, this time make sure the edges are thinner than the centre part. Spoon the fillings in the centre of the skin, fold and seal it. Continue to finished up all the dough. Make sure you cover the finished bao's with a wet cloth to prevent it from dries up. Let the bao's rest at somewhere warm for about 30-45mins (this depend on how long you take to fold and seal all your baos) At this time you can starts to get your steamer ready. Water in the steamer must be boiling before you put the baos to steam. Tips: For easier wrapping, folding and sealing. Always refrigerated the fillings we want to use for at least 1-2 hrs before we using them. This will makes the filling sticking together and turn hard and it won't mess the skin when we fold and seal the skin. You can always cook your own kaya or just get the ready made fillings from the supermarket. P/S: Please do leave me a message if you are using this recipe and leave me your link as I would love to see on how your bao's skin turn out and if this recipe really works for you!!! wow... i can't wait to see the recipe...thanks for sharing by the way. Everyday?! Must be some really really good bun! Honestly, I could eat it every day too, I'm a bun lover! Thanks for the comments. 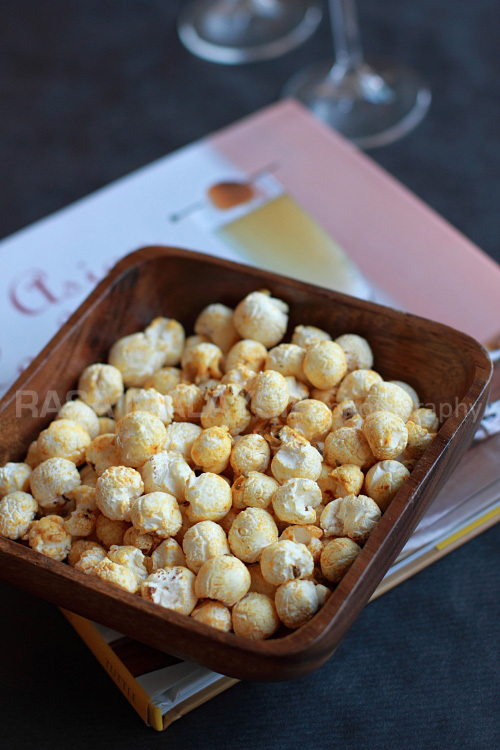 I love to see people leave comments for me..heeeheee..
Tadaaa...here is recipe for you all!! i'm not sure if I can find the bao flour here or not lerr....!!! Giggle: You can replace it with cake flour or super fine flour that's low gluten content. thanks for the recipe, Amy. i will definitely try this out.. i also use Blue Key pao flour. 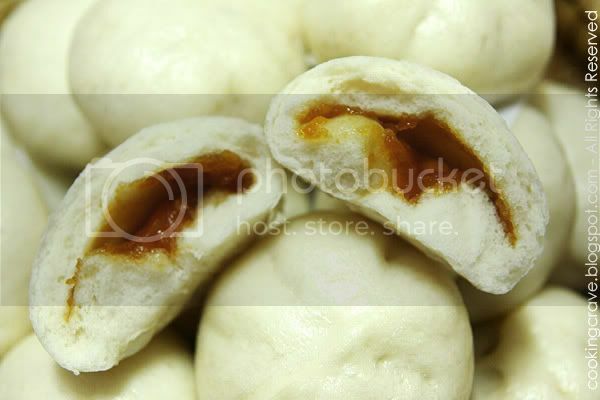 Can this bao skin recipe be used in wrapping char siew bao as well? May I know the texture of the bao once it is cooled? Thank you and sorry for asking so many questions. 2) I'm greedy as I put a lot of ingrediants and cause thin pau skin. I will definitely go thru your detail write up and try it again. By the way, other blogger did mentioned that we can not open the wok cover immediately once pau is done, have to wait 15mins only open it otherwise we will get ugly pau skin, is this true? I opened the cover once I turn off the stove. But one important tips I want to share with you. TinTin, I thought of trying this receipe very soon. At home, only me and hubby. So I'm thinking, if I made the pau, how many days it can last? I think we can always keep it in the fridge in an air tight container for 4-5 days and just re-steamed it when we want to eat it. If we don't keep it in fridge, then I think it will last only 2 or 3 days. thank you. I am going to make Kaya pau this week. Steam the baos in high heat for 10 mins. hello tintin i wanted to make this bao. but im not sure.. means after i assemble the bao i have to leave it at sumwer warm? after i have done it all oni i steam? Hi, I am iris . 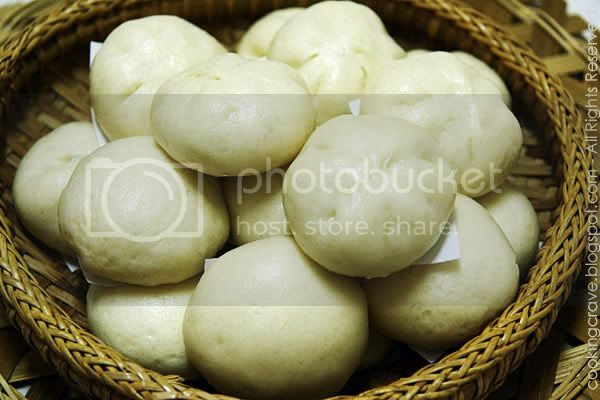 Can I use plain flour to make BAO?